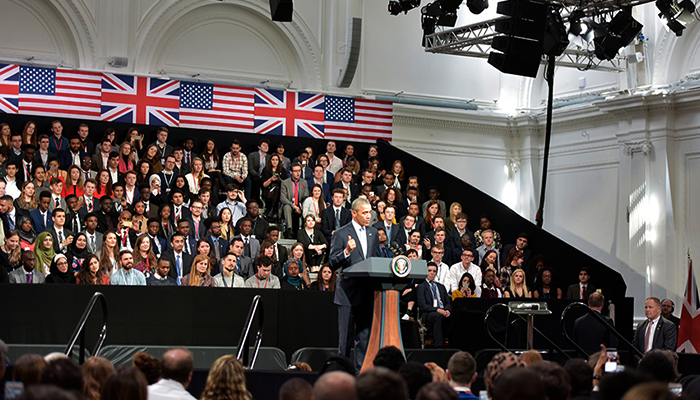 In April 2016, President Obama conducted one of his last state visits to the UK. 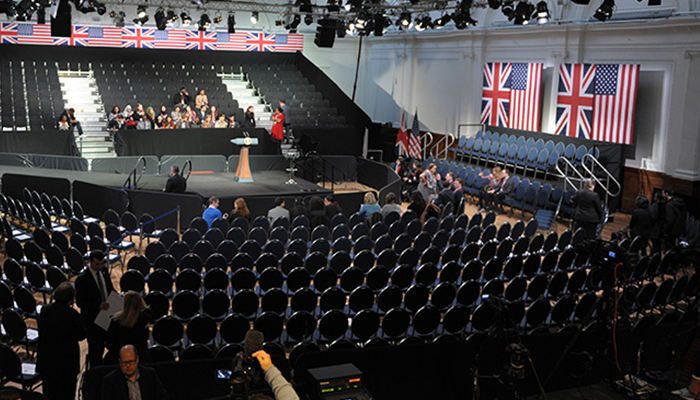 As part of the American Embassy’s Young Leaders Programme, Obama was invited to speak at RHH Lindley Hall to an audience of 500 young UK leaders. To our delight, EHP were asked to provide and construct all staging for this highly prestigious event. 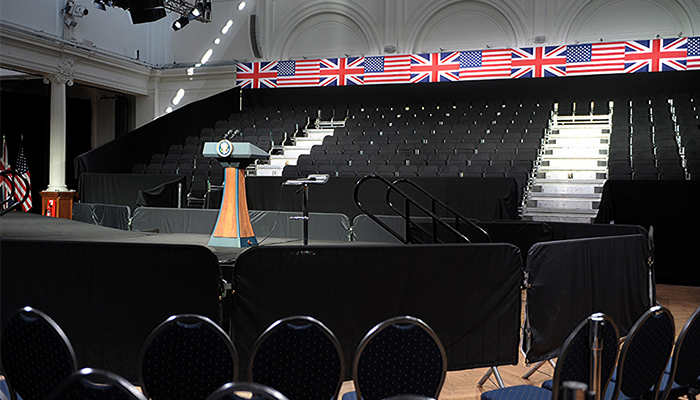 To provide all staging, catwalk, camera platforms, press and audience arenas, draping, set and dressing for the venue. EHP were able to source all stock for this event in-house, and prepare for its installation overnight. The build took around 80 hours, and was completed with plenty of time for the Secret Service and British Military Police to check the area over. We will definitely never forget the satisfaction of watching the President of the USA glide across our expertly constructed staging!